A friend posted this on social media: “White privilege is your history being part of the core curriculum and mine being taught as an elective.” I keep thinking about this and know it is true. As a white woman, I need to work harder to listen to the black communal wisdom. I need to seek out testimonies of their history, too often sequestered to elective classes, small publishing houses and neighborhoods unknown to me. In 2004 Otis Moss was invited to present the Lyman Beecher Lectures at Yale, an opportunity to offer his contribution to the canon of homiletic wisdom. 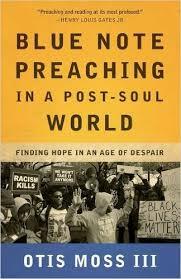 I knew of these lectures since some of my favorite books on the craft of preaching originated in Lyman Beecher Lectures – Walter Brueggemann’s Finally Comes a Poet: Daring Speech for Proclamation, Barbara Brown Taylor’s When God is Silent and Frederic Buechner’s Telling the Truth: Gospel as Tragedy, Comedy, and Fairy Tale. When I learned that this book was the publication of the lectures Otis Moss presented – I was hooked! I am so excited to read his words on the art of blue note preaching, pulling from his “blues sensibilities” that come from both his experience and love of Blues music. I discovered this book through the recommendation of a trusted friend and avid reader. 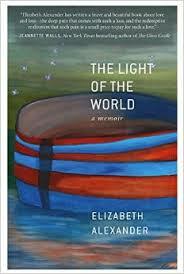 Elizabeth Alexander is a poet with many titles to her name, though many of us first saw her on a January day in 2009 when she offered her original work, “Praise Song for the Day” at Barack Obama’s inaguration. She is currently a professor of African American Studies at Yale University. This is her story of love and loss, about the sudden death of her husband and her wrestling with grief. I am eager to listen to her story, learning more about lament, suffering and hope. James H. Cone is known to many as the quintessential African American liberation theologian, articulating a theology born of the stories of Scripture and the realities of the black experience on American soil. 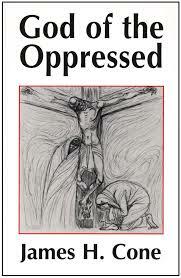 His book, The Cross and the Lynching Tree, gutted me in the most necessary way last year. I’ve been told this is his seminal work and I am eager to learn – even be disoriented and confronted by his truth telling. So much of my own awareness of the contemporaneity of the conversation about race grew out of the death of Trayvon Martin, Michael Brown and the resulting movement that grew in the streets of Ferguson and beyond. 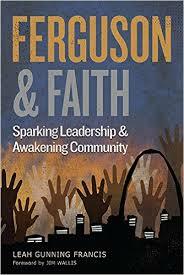 This book provides testimonies from the streets of Ferguson, from protestors and clergy alike. It is a fresh recollection of these early days of the movement, when everything was still pulsating and the streets still bloody. It is a work of recent history and recent reflection. I hope I will learn how to enter into this story as I hear the original witnesses share their stories. There are other books I’ve read and would recommend, and I’ve already listed them here: READING ON RACE. This list includes some solid history, as well. My husband recently read Death of a King: The Real Story of Dr. Martin Luther King Jr.’s Final Year by Travis Smiley. He could not put it down, reading it in transit from Arizona to Burundi, as he returned to the political strife in his own country. He found deep resonance with MLK’s resolve in the face of injustice during that final year. He also discovered a human man with flaws and hopes like the rest of us. I might have to add this to my list next year. What are you planning to read in honor of Black History Month? Would you consider reading books only by African American voices, historical or contemporary, this month as a way to listen and learn from your black brothers and sisters?